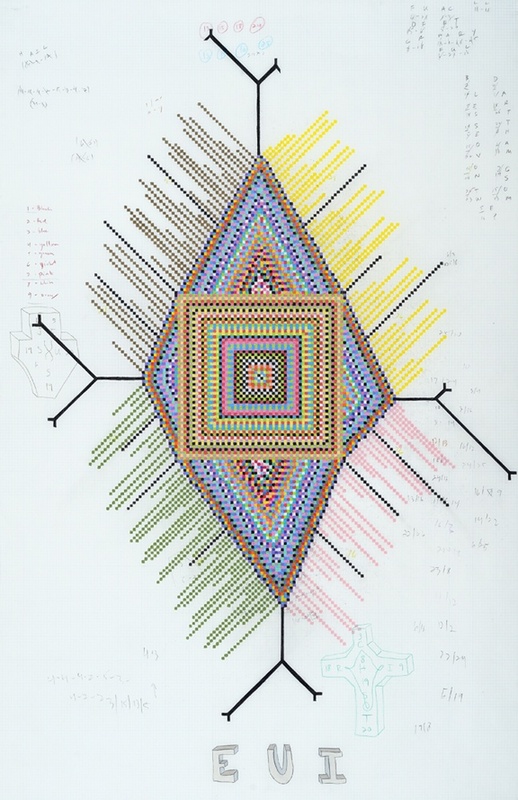 The first words of the Bible, translated into colors, make up the square, innermost pattern of this drawing. Each alternating, colored square represents a different letter from a word, in sequence. Surrounding / containing the Bible square is a randomly generated shape, based on the same system that I used to translate the Bible into color.